The team comprises Hydrogeologists, Chartered Geologists and Geoenvironmental experts with over 40 years’ experience in resolving technically complex contaminated land and water projects for private companies and individuals across the UK and Ireland. Hydrogeo’s high level of technical expertise and professional experience enables us to deliver cost effective, pragmatic and scientifically robust solutions to contaminated land and groundwater issues. Chris is co-owner and Director of Hydrogeo, having established the company in 2006. 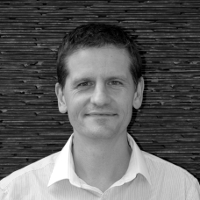 With over eighteen years’ experience as a professional hydrogeologist in the UK Chris takes the technical lead for hydrogeology, groundwater protection and resources in the company. Chris is a Chartered Geologist and has expertise in undertaking Geological and Hydrogeological Assessments for a wide range of developments including waste management projects, water resource projects, energy schemes, minerals and commercial/industrial/residential developments. He has undertaken detailed quantitative risk assessments, hydrogeological investigations and risk assessments for water resource projects, waste management sites, contaminated land and groundwater, and mining/mineral extraction, and energy projects. Chris enjoys spending time on outdoor adventures with his family, rock climbing, mountain biking and fell running and is now trying to keep up with his two boys for as long as possible. 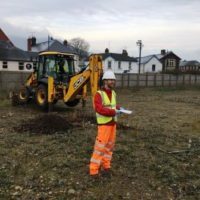 Michael is a Director and co-owner of Hydrogeo Limited with over 18 years’ experience as a Geoenvironmental Professional specialising in contaminated land, site investigation, risk assessment and remediation. 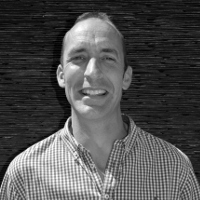 Michael has worked with a wide variety of clients, ranging from individual householders, commercial enterprises through to multi-national companies during this time. Experience in the industry includes undertaking desk studies, design and supervision of geotechnical / environmental site investigations, human health and controlled waters risk assessments, coal mining risk assessments, foundation assessments, remediation strategy design and remediation verification. Prior to joining Hydrogeo Michael was employed by ExxonMobil, and then RPS for over 11 years ultimately as Associate Director and the lead technical representative for the Contaminated Land and Remediation Team. Michael enjoys spending time with his young family, holidaying in the UK and abroad in his recently restored classic Volkswagen Campervan. When time permits Michael enjoys renovating classic cars, playing golf, mountain biking and playing the guitar (badly). Helen is responsible for developing and maintaining the company Quality Assurance systems in line with ISO 9001:2015 and was key in securing BSI accreditation for Hydrogeo in 2014. 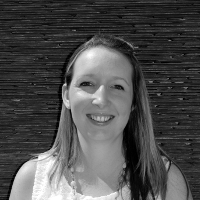 Helen provides office and administrative support to the staff and is a hardworking and dedicated member of the team. Whilst not at work Helen enjoys time with her young family as well as tending to the allotment and ever growing number of chickens. Given a spare 5 minutes Helen enjoys baking the odd cake much to the appreciation of the family and team at Hydrogeo. Pete graduated with a bachelors degree in Geology from Cardiff University in 2012. Since joining the Hydrogeo Pete has worked on a diverse range of projects including the remediation of a former Royal Mail Depot, groundwater monitoring for commercial and residential construction projects, coal mining risk assessments and several Hydrogeological Risk Assessments for landfills in Northern Ireland. He also finds time to maintain and update the Hydrogeo website. Pete continues to gain experience in a growing number of projects and sectors. Recently he has completed permeability testing for a farm's anaerobic digester, a quantitative risk assessment for a natural burial ground and assisted with a site investigation with groundwater monitoring for a large housing development in Cheltenham. When he's not taking soil samples or learning about web design he enjoys photography, playing blues guitar and computing. Patrick joined Hydrogeo in November 2016 having completed the Applied Environmental Geology Master’s degree at Cardiff University. Prior to joining Hydrogeo, Patrick worked in the Mining Industry for over four years working in several countries before embarking on a career change into the geo-environmental and geotechnical sector. Since joining Hydrogeo, he has been involved in numerous projects including the remediation verification of a former gasworks site; quantitative risk assessment for a cemetery extension; and several intrusive site investigations for commercial and residential developments. Additionally Patrick has gained experience in report writing including desk based studies, Phase I Geo-environmental Reports; Site Investigations; Coal Mining Risk Assessments; Borehole Prognosis Reports; Piling Risk Assessments, and Remediation Verification reports. Whilst not at work Patrick enjoys road & trail running; catching live games of rugby and football; and during the winter months he is a keen skier. Tom graduated with a bachelor’s degree in Geology from Cardiff University and has recently completed his Masters in Applied Environmental Geology. Having joined Hydrogeo during a five month professional placement as part of the MSc Tom has now joined the team on a full time basis. 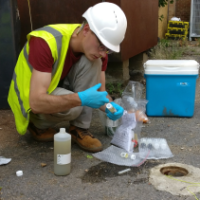 During the placement Tom completed his Masters dissertation, a Hydrogeological and Human Health Risk Assessment of a former petrol filling station site which is currently going through redevelopment. 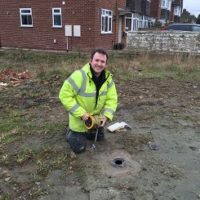 Tom has been involved with many projects including contaminated land risk assessments, coal mining risk assessments, site investigations, groundwater monitoring and permeability testing for projects ranging from residential housing developments to burial grounds and landfills. In his spare time Tom enjoys mountain biking, hiking and camping with his wife, along with motor mechanics and retro PC building and gaming.